Our client happens to be one of the leading technology service provider to public, private, charter and parochial schools in South California. It offers special courses to more than 9,000 students. Our client is a leading transportation management firm with a clientele ranging from the small business enterprise to Fortune 100 companies. They are driven with a goal to provide a cost-effective approach for all means of transportation. Our client successfully operates magazines, trade shows and online services for the various markets it serves for over five decades now. The Company continues to expand “organically” each year capitalizing on its strong financial footing (Debt free). 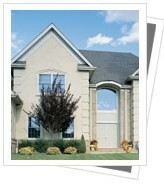 Our client is one of the leading real estate firms in the DC area. The client was using the services of an online e-mail marketing vendor which had the client’s customer history and order data. With New anti-spam restrictions and an unstable system.